Indev was brought on to support the PHMSA Information System Security Manager (ISSM) to continue to mature PHMSA’s Information Assurance (IA) and Information Technology (IT) security program by providing program management, consultation, advisory expertise, and support on a wide range of security related tasks. Currently, Indev provides timely and complete System Assessment and Authorization (SA&A) and Continuous Monitoring (CM) support for all PHMSA systems. Indev created Standard Operating Procedures (SOPs) for consistent control and coordination of all SA&A and CM activity including: update of artifacts, facilitation of meetings, update and follow-up with remediation of all plan of action and milestones (POA&Ms), vulnerability scanning and interpretation; monitoring and documenting security controls, assessment oversight, contingency planning and testing. Indev provided an array of cybersecurity services to FTA IT Security Program (FITSP), a key FTA Chief Information Officer (CIO) initiative to manage IT operational risks and to protect government data. Indev provides the FTA ISSM and FITSP with continuous monitoring and information assurance support services. We provide highly qualified and experienced personnel to FITSP, with a focus on technical, analytical, and tool support for all FTA systems. We assist FITSP in responding to and conforming with all Federal Governments for information system security, which requires FTA to implement an FITSP activity to manage the risks of IT operations and to protect government data, especially sensitive and/or personally identifiable data. FTA required a company that is knowledgeable of the FedRAMP process and procedures and can provide best practices needed to improve FITSP. Indev provides Agile & DevOps Coaching services, including the development of a comprehensive ICE Agile/DevOps Playbook and associated processes, templates, artifacts, training materials, and lessons learned, to the Office of the Chief Information Officer (OCIO). Organizational agility required ICE to leverage Indev for an Agile Coaching capability to help establish self-organizing teams as well as a new form of Agile leadership amongst management, and a re-thinking of organizational structures, policies and culture. Additionally, to help streamline Agile development and DevOps, ICE leverages Indev’s services to foster agility and the innovation that Agile promises. Indev’s efforts continue to progress ICE’s transformation to DevOps. The DOT OST OCIO, requires expertise in the areas of IT security, continuous monitoring, information assurance (IA) and privacy. Indev provides direct Information System Security Officer (ISSO) related support to the OST Information System Security Manager (ISSM) for multiple OST systems. In this capacity, Indev provides IT security and privacy support for OST systems in a wide range of areas including Security Assessment and Authorization (SA&A), privacy, risk analysis and mitigation, IT security and privacy baseline compliance, and continuous monitoring. Indev participates in POA&M remediation and requests by Government auditors including FAA ESC. Indev provides the SIGTARP CIO with a full range of services and IT systems to support SIGTARP’s federal law enforcement mission of targeting financial institution crime and serving as an independent watchdog protecting the interests of the American people. Our services range from case management, public website/internal intranet support, security assessments and authorization (SA&A), data analytics, operations and maintenance, and enhancements. We work closely with key stakeholders to manage the application lifecycle, from gathering requirements to implementing the organization’s long-term mission and IT vision. We played a key role in researching, analyzing and implementing tools and technologies, reporting and analytics, that fit the near and long-term vision of the SIGTARP management. Indev provided FRA an authoritative assessment of their current IT and data management capabilities, identifying performance gaps between current systems and the to-be architecture, resulting in the modernization of FRA's IT assets and improved operational efficiency and data sharing. Outputs of the effort included an as-is architecture assessment, IT gap analysis, IT modernization plan, data management strategy, and a 5-yr IT and data management strategy. Indev provides an array of services to PHMSA, including direct support to the Chief Information Officer with IT modernization related efforts including analysis of existing and future business processes, system requirements, and data architectures. We supported multiple concurrent projects in various phases of the System Development Lifecycle (SDLC) by facilitating planning sessions to translate requirements into technical specifications, process work flows, data structures, and user interface wireframes and prototypes. In addition, we provided CPIC services, ensuring adherence to OMB investment management requirements and compliance with OMB and Departmental Enterprise Architecture standards. 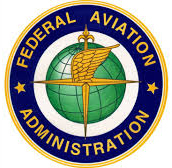 The Federal Aviation Administration (FAA) is responsible for ensuring that air traffic control specialists provide the flying public with a high level of safety and professionalism. The FAA employs more than 14,000 air traffic controllers who work in air traffic facilities of varying sizes, safely separating more than 50,000 aircraft in the National Airspace System (NAS) each day. To provide such air traffic services, Indev trains new air traffic control specialists and provides recurrent training to current air traffic control specialists at FAA Air Traffic Control Facilities across the Western Service Area, including locations throughout California, Colorado, Utah and Montana. Indev supports evaluation of a streamlined NAS surveillance architecture after the FAA’s mandate for Automatic Dependent Surveillance-Broadcast (ADS-B) in 2020. We also provide acquisition strategy development support to the SENSR program that includes innovative approaches for procurement/implementation of the next generation of radar surveillance for air traffic management, weather and national security. Indev supported NASA’s ARMD with developing detailed Benefits Metrics for the 6 Strategic Thrusts (ST) in support of the R&D roadmap initiatives including: ST1-Safe, Efficient Growth in Global Operations; ST2- Innovation in Commercial Supersonic Aircraft; ST3- Ultra-Efficient Commercial Vehicles; ST4-Transition to Alternative Propulsion and Energy; ST5-Real- Time System-Wide Safety Assurance; ST6-Assured Autonomy for Aviation Transformation. We also provided technical support for NASA Ames SimLabs II contract, providing pseudo and commercial aviation pilots for the Air Traffic Demonstration (ATD-2) simulations for FAA and NASA research projects. Indev provides QA and IV&V services to the DHS ICE OCIO QA Branch, directly supporting the Student Exchange Visitor Information System (SEVIS), Criminal Alien Identification Initiatives (CAII) and ENFORCE Alien Removals Module (EARM) programs. We leverage industry best practices such as CMMI and ISO to ensure the supported programs are proceeding effectively and fit the needs of DHS stakeholders and end users. Our direct support has helped to identify, prioritize, and close program performance gaps, ensuring business and technical requirements align with DHS processes, policies and procedures.